Finding ways to improve your performance is a key element for any exercise training in Phoenix, AZ, especially at one of 17 Mountainside Fitness locations. Developing grip strength is something that many fitness enthusiasts want to achieve. If this is your goal, keep reading to learn 4 ways to develop a strong grip that does more for you than give you a firm handshake. Grip aids like wrist straps are popular, but they actually tend to weaken your grip over time. If you want a stronger grip, ditch the grip aids and watch your forearms get stronger. Now, if you’ve used wrist straps or other tools for a while, you might find that it’s harder to lift heavier weights. That’s okay. Go ahead and lift a little less weight and work back up to where you were. When you get there, you’ll have stronger wrists than before. Now, if you have a medical condition or injury that requires you to wear wrist aids, do speak with your doctor before stopping wearing them. You don’t want to worsen any injuries. Any time that you’re at a fitness center and you’re pulling or lifting, you’re training your grip. If you’re not incorporating some sort of pulling and lifting into your workout routine, this is something you want to change. Farmer’s walks are great slide core exercises for improving grip strength. Also, consider exercise classes like a muscle class at Mountainside to train your grip. These develop muscles throughout your arms and improve grip strength. Also, consider switching grips every few reps. When you do this, you’re challenging your forearms and making them learn to adjust to different positions. While some people aren’t concerned about lifting heavy, others resist the practice because they don’t want to develop muscles that are too bulky. The truth is that lifting heavier weights can give you a nice, toned physique and burns more fat, while improving that all-important grip. Check out Mountainside’s exercise classes to learn more about the benefits of heavy lifting. It’s easy to forget to mention the easiest way to strengthen your grip, which is to actively squeeze the bar, dumbbells, or cables while performing any exercise. 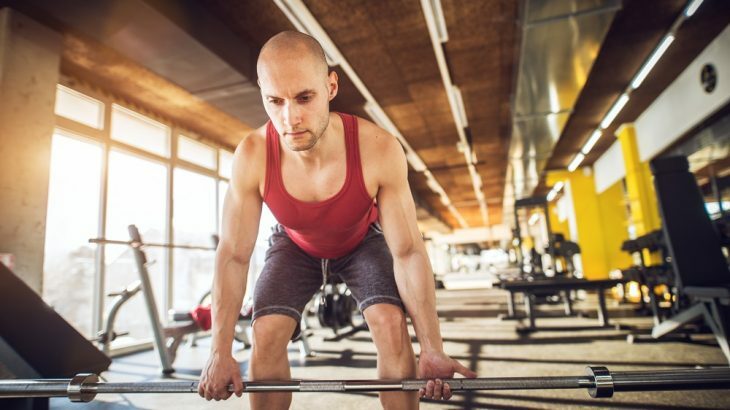 Whether you’re using weights in exercise classes in Phoenix, AZ, or performing sets on your own, keep the bar firmly locked in place while performing the exercise. Over time, your grip will become stronger. Are you interested in exercise classes in Phoenix that help you improve your grip and increase forearm strength? Stop by Mountainside Fitness and check out our group exercise schedule today!